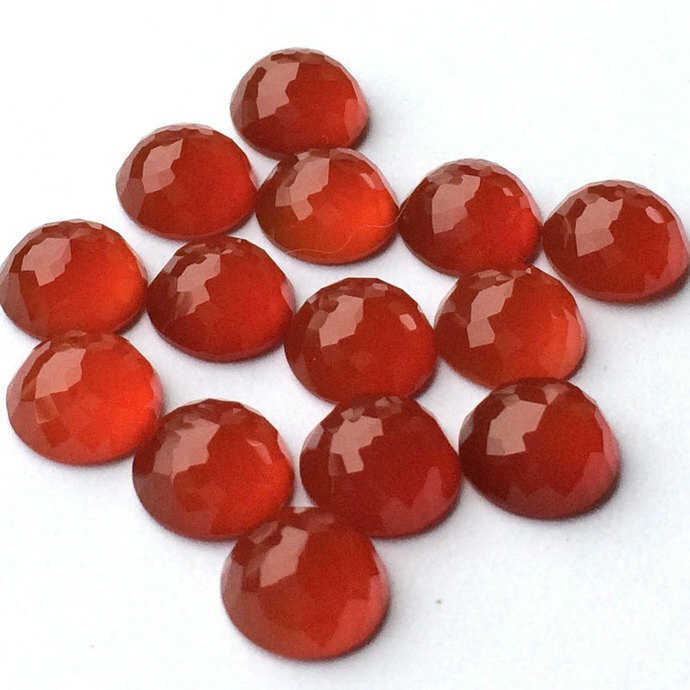 Rose Cut, Micro Faceted - NEW Fancier Rose Cut with lots of Faceting! 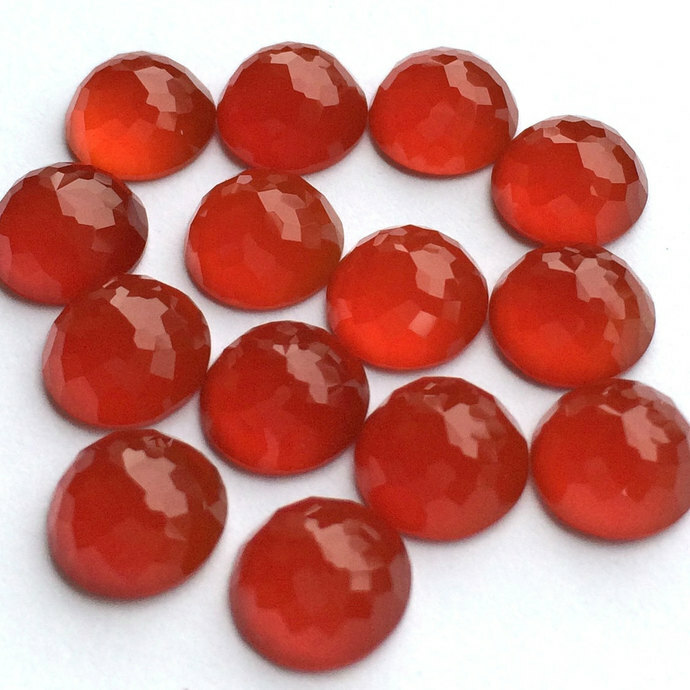 These cabs are beautifully cut and are good quality. 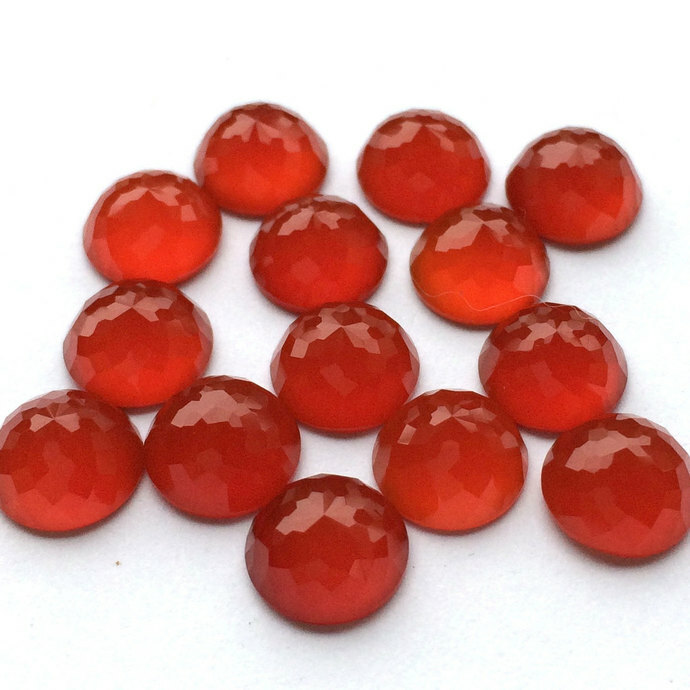 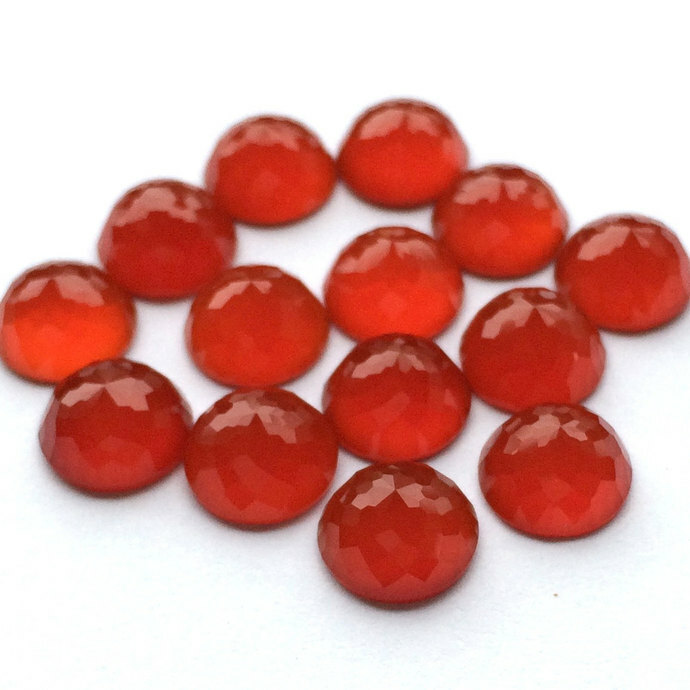 The color of these cabs is a deep reddish orange color.